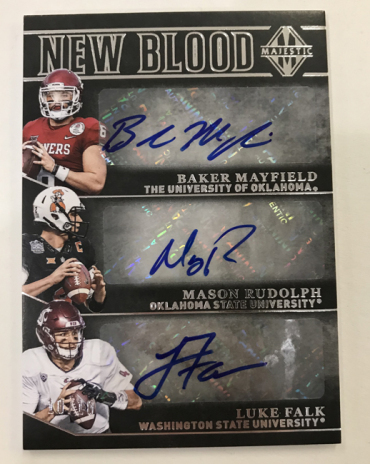 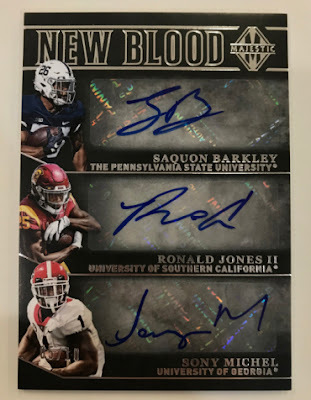 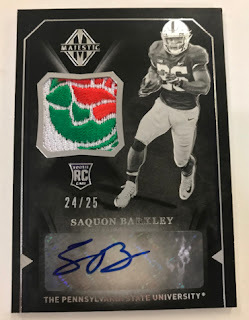 The 2018 NFL Draft Class, with 5 Quarterbacks, 3 Receivers and 3 Running Backs selected in the first round, has everyone excited about the upcoming NFL season resulting in all Panini 2018 Football Products being sold out on their website. 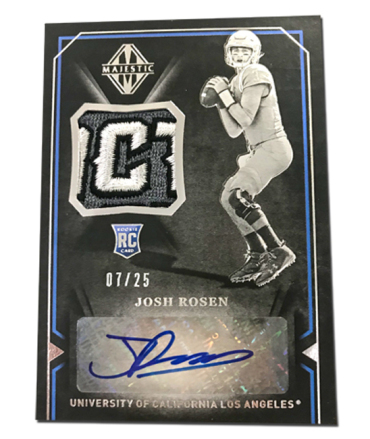 Due to high demand for all upcoming 2018 Football products, all orders at the retail level (hobby shops and on-line) have been limited and allocated based on last year's orders. 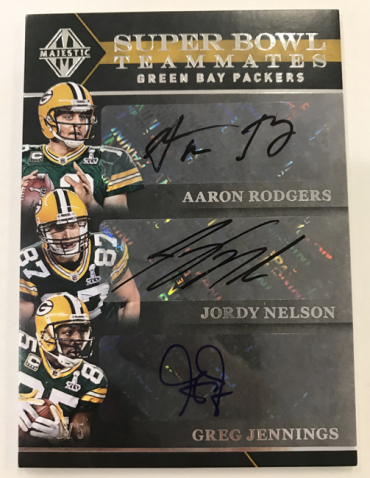 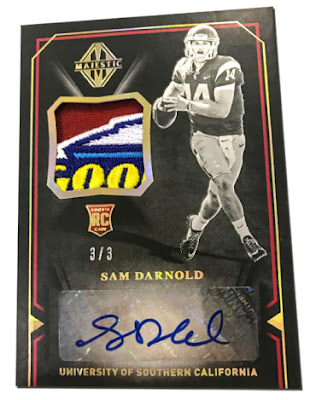 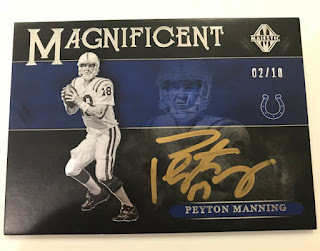 Arriving Wednesday at Sports Cards Plus, Panini America’s Majestic Football ($280 per box) franchise will unveil its second edition, bolstered by a spectacular 2017 debut that included the season’s first autograph memorabilia Rookie Cards, some flat-out striking on-card ink from current superstars and all-time greats, and so much more. 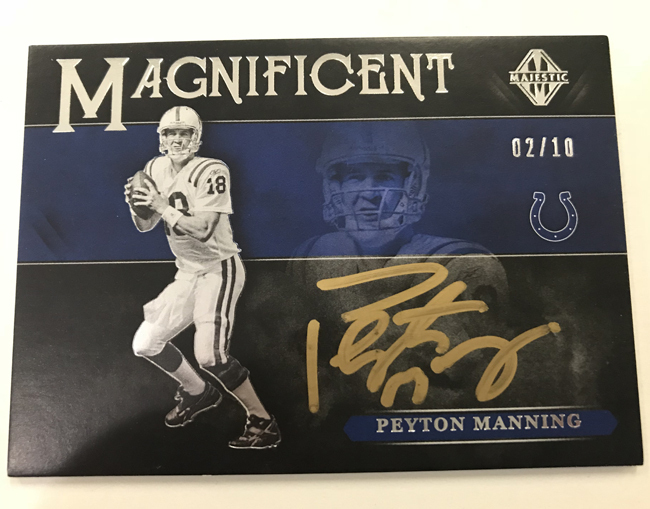 The good news, of course, is that when 2018 Majestic Football arrives Wednesday, those key brand tenets will be on bold display once again. In the scintillating sneak peek that follows, we offer a brief glimpse at just some of the juggernauts poised to make 2018 Majestic Football an early season attraction. On average, each hobby box of 2018 Majestic Football will deliver four autographs (including one Rookie Patch Autograph), two memorabilia cards, one parallel and one base card. 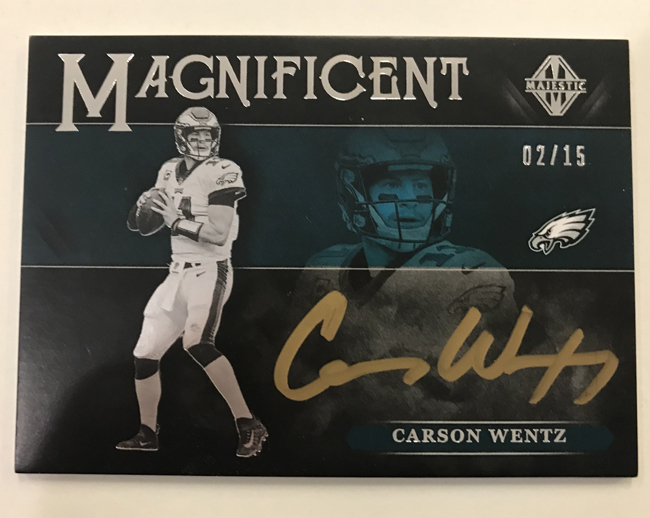 In addition, each case will yield, on average, two multi-autograph cards and two hard-signed cards.